Vitamin D has been in the news over and over again lately…if you didn’t know any better, you might imagine it was just discovered! Well, Vitamin D has been around for awhile, it’s just celebrating a sort of “rebirth” in the mainstream media and medical profession. It was a vitamin (more like a hormone, actually) that was ignored for years and now is beginning to be recognized for the diverse set of functions it performs and for its importance to health. I mentioned that Vitamin D is more like a hormone than a vitamin—by definition, a hormone is produced in one place (a gland, like the thyroid or adrenal glands) and is transported by the blood to function in another part of the body. A vitamin is a substance that is necessary in small quantities for normal growth and activity, so Vitamin D is actually both. Chemically, vitamin D looks similar to steroid hormones. It is fat-soluble, meaning it can be stored in fat—something that may be important during those sun-deficient winter months. As far as knowing what Vitamin D does—the jury is still out to some extent, but we do know that Vitamin D is critically important to maintain calcium and phosphate levels and bone strength. It is also required for proper cell growth, muscle function, inflammatory responses and immunity. Severe vitamin D deficiency results in rickets—less severe deficiencies are associated with colon and other cancers, autoimmune disease, infectious diseases, obesity, depression and heart disease. It has also been linked to food sensitivities. The main natural source of Vitamin D is though exposing your skin to the sun. I suspect that part of the reason that Vitamin D deficiencies have become so important is that for years we have been told to minimize skin exposure to sun because of the risks of skin cancer. Humans usually get about 90% of their vitamin D from sun exposure. (By the way, rates of skin cancer have NOT gone down ) Now, I’m not saying you should spend hours and hours in the sun with no protection, but I am saying that 10-30 minutes of exposing your face, arms, back and/or legs 2 or 3 times a week to early afternoon sun will probably give you enough Vitamin D and not increase your risk of skin cancer substantially. A recent article in the American Journal of Clinical Nutrition states “The major cause of vitamin D deficiency is the lack of appreciation that sun exposure in moderation is the major source of vitamin D for most humans.” A lot depends on your skin tone—the darker your skin, the more exposure you need, but a “moderate” amount of sunlight is likely to be safe—after all, we evolved in the sun and most people feel better with the sun! We really don’t know how much sun is too much—but studies at the Australian National University indicate that more lives are lost and diseases are caused by a LACK of sunlight than are caused by too much sunlight. Sunlight consists of three types of ultraviolet (UV) radiation—UVA, UVB and UVC. Only UVB is able to begin the process of converting 7-dehydrocholesterol to previtamin D3. Previtamin D3 is further converted in the liver and kidneys to vitamin D3. Besides the sun’s UVB rays reacting with our skin, other sources of Vitamin D are fish, dairy foods, and eggs. 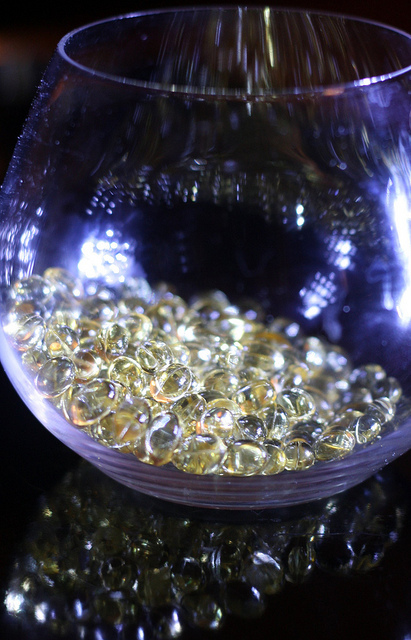 How Much Vitamin D is Enough and How Much Should Someone Take as a Supplement? Here’s where it gets a bit controversial. Mainstream medicine has decided that in adults, vitamin D deficiency is defined as a serum vitamin D3 level of less than 20 ng/mL and insufficiency as a vitamin D level of 20-30 ng/mL. Some of these determinations are controversial for technical reasons. Other practitioners look at a higher level (50ng/mL) as the optimal level. But, during a recent (3/11) symposium in NYC, Dr Alan Gaby, author of Nutritional Medicine and with over 30 years experience in nutritional medicine put forth some important questions about these levels. His suggestions regarding vitamin D levels were to get 5-15minutes of sunlight (between 10am and 3pm) two or three times a week during the spring, summer and fall months, to take as a supplement 800-1200 IU of vitamin D per day, that doses greater than 2000IU/day should only be done under a health care professional’s supervision and that sunlight-produced vitamin D may have quite different effects than does supplemental vitamin D. For one thing, sunlight on the skin produces a whole variety of by-products that have vitamin D-like activity and may directly affect other hormonal systems. So, what’s the best advice? Dr Gaby’s advice of 5-15minutes of sunlight (between 10am and 3pm) two or three times a week during the spring, summer and fall months is reasonable and would likely result in adequate levels of vitamin D for most people. Again, darker skinned individuals may need to spend more time in the sun. The suggestion of 800-1200 IU of vitamin D as a supplement is also a reasonable approach. I would seriously suggest questioning the use of the intramuscular shot of 50,000IU of ergocalciferol—a synthetic vitamin D2 (not the D3 you usually read about)—with your physician. Even the very highest estimates of skin production are 10,000IU/day and the research on the long-term safety of such a high dose is not conclusive. You may be better off trying to achieve the greater the presumed optimal 30ng/mL level of vitamin D more slowly.